Woodrow Jackson, a black, retired police officer left a gas station in the wee hours of the morning with sleeping grandchildren in the car. Seconds later police stopped him. They stuck a shotgun in his daughter’s face. Ordered him out. Lifted him into the air, and slammed him on his head. Lights and screaming. Someone in boots stood on his head. Jackson, a 65 year-old heart attack survivor felt a void where his recently implanted kidney device forcefully ejected right out of his body. When the police realized Jackson was not their 25 year-old robbery suspect, they let him go. He called his son, Don, a newly promoted police sergeant in Hawthorne, California. If his sense of purpose had not yet been solidified, young Don Jackson knew it then. No advocacy or technology, investigation or financial compensation could put Woodrow Jackson back together. Don Jackson—now Diop Kam au—however, would spend the next 30 years trying. With the release of his new mobile application, Policeabuse.com, he has created a new way to enable the public to hold police accountable. There’s no manual to tell one how to be safe, take on the police, or advocate after an incident has occurred. Only one thing, Kamau said, has seen him through. “My faith, period. I believe. I’m not just talking. I actually practice what I practice. My answer is that I have confidence that God will back me up if I’m doing the right thing. You always know. If you don’t know, stop what you’re doing, and listen. That’s why I pray and meditate. Woodrow Jackson had been a veteran of the Los Angeles Police Department, having integrated it in the 1950s. He covered the homeless with blankets, changed tires, took lost kids home, and sent the drunk guy sitting on the stoop back inside with a warning. Integrity and class. Worthy of community respect, Kamau proudly followed in his father’s footsteps. Kamau attended California Lutheran University, joined the Ventura County (California) Sheriff’s department, and later the Hawthorne (California) Police Department. But what he discovered was a racially charged atmosphere. Images of good cops, the Christ-like principles he admired as a kid, clashed with some of the things he saw every day. Dispatchers openly used racial epithets. The first report to hit his desk as sergeant complained of a black man passed out in a watermelon patch. Some joke. Others callously quipped that black women enjoyed being raped. Kamau impeded that kind of “police work” because it was more than just racially insensitive joking. Police force coupled with prejudice led to illegal or cruel or deadly treatment, for African Americans in particular. Jackson once stopped the illegal search and trashing of a nice apartment owned by a young African American man. He leaked a story to the news of how police officers allowed their police dogs to maul people, one of them having completely severed the breast of a young woman. Soon he left the department, determined to use his policing and investigative skills to help stop police abuse. Kamau famously outfitted a car with cameras and found himself pulled over for weaving across lines and speeding, traffic violations proven false by the video. Police ordered him out of the car. Screaming. Lights. Epithets. F-bombs. He asked why he was stopped and within seconds a police officer smashed his head through a storefront window. Abuse continued. Police smashed his head onto the hood of the car and he cried out in pain and shock. That 1989 viral video pushed him to the front of a crusade to end such practices, as he made himself a sitting duck in his own racial profiling tests. He used his videos to support litigants in court—people who would never be believed otherwise. His full service investigative firm, Policeabuse.com employed testers and investigators and their footage made it onto primetime television news magazine shows. The outspoken, passionate and good-looking crusader with the Isley-brother mustache attracted the attention of a young, beautiful Hollywood starlet with a conscience. Tyra Ferrell, “Jungle Fever”, “White Men Can’t Jump” and most recently “Empire”, clipped a newspaper article with Kamau’s picture on it and posted it on her vision board. While that approach to love may not work for everyone, Ferrell claimed him in her meditations. After a chance meeting at a party, their courtship blossomed until one day they both stood by the bedside of Kamau’s ailing mother. The elder woman declared she could go to her rest knowing that her son was in good hands. They got married in 1992. A true believer, Ferrell left her career behind. She answered the phones at Policeabuse.com, coordinated testing, and prayed for her husband to return to her in one piece. She became wife, mother and dedicated protector in her own right. Ferrell and their newborn daughter would wait in the family RV parked at the beach while Jackson went into the city hoping to be a target. He changed his name to Diop Kamau a West African name, loosely translated: proud, quiet, warrior. After a speaking trip to Penn State and recording of the show “Crossfire”, Kamau was invited to stay. Both Ferrell and the dean of the school—Maier-Katkin appealed to him. “You’re gonna get yourself killed out there.” It was time to think of a different approach, and in a few years Kamau’s master’s degree put him back on the streets with a different strategy. Using his head—instead of offering it up to be beaten—Diop Kamau tracked his data. After 30 years of investigating police interactions gone wrong, still no national database or clearinghouse to track or measure them exists. Data that Kamau collected, however, has formed a respectable sample. He investigated 5,000 cases, 25 of them with news media organizations. His organization filed more than 20,000 police abuse complaints, 4,500 of them in the last two years. • Anybody can be a victim, not just black males. • Women are almost equally likely to be assaulted by police, tasered, punched out, beaten or shot. • The single, consistent, defining variable for a violent confrontation with police is to dispute his authority. • Officers simply lied on police reports, and thus, people are more likely to be framed for crime by police than be shot by them. • More white people experience abuse and make up the majority of complaints and requests for help on Policeabuse.com. • Victims may experience further abuse and intimidation to prevent their complaints from being filed. So, Kamau’s latest iteration in advocacy and investigation revolves around a free mobile app, Police Abuse. At the touch of an icon it records an encounter, simultaneously uploading it to his organization’s servers. An emergency feature alerts loved ones to the location of the stop as well as others who have the app. They can choose, Kamau hopes, to record it from a safe distance. To tackle the problem of intimidation and red tape, Kamau’s organization files the complaint—video attached—electronically, copying the Department of Justice. It’s new. It hasn’t caught on yet, but it’s a patient step in the right direction. Kamau, Ferrell and their daughter know, firsthand, that justice takes times. After eight years of legal wrangling, justice finally won. While the former employee sued for copyright infringement for the use of one of his undercover video recordings, he was found guilty of perjury, fraud, witness intimidation and manufacturing evidence. When he filed criminal stalking charges against Ferrell and hacked their email accounts and websites, Kamau and Ferrell were incredulous to see the court system believed him, helped him. Unknown to the court, he was sitting in jail, awaiting his own trial for stalking. Their courage really took a hit as they witnessed that former employee complete law school, pass the bar and practice law, giving him an air of credibility throughout all of this. Credibility, that is, until he was stripped of his license to practice law just last month. As his chosen name suggests, thought and strategy goes into any successful fight for justice. From the initial indignity of an unjustified clash with police, victims shrink away in shame. “First thing, you are not alone. The embarrassment, the pain, the shame that you are feeling is true.” It throws you, putting you in a disoriented, childlike state. Don’t stay there. You can do something. 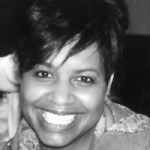 CARMELA MONK-CRAWFORD, J.D., is the Editor of Message Magazine.